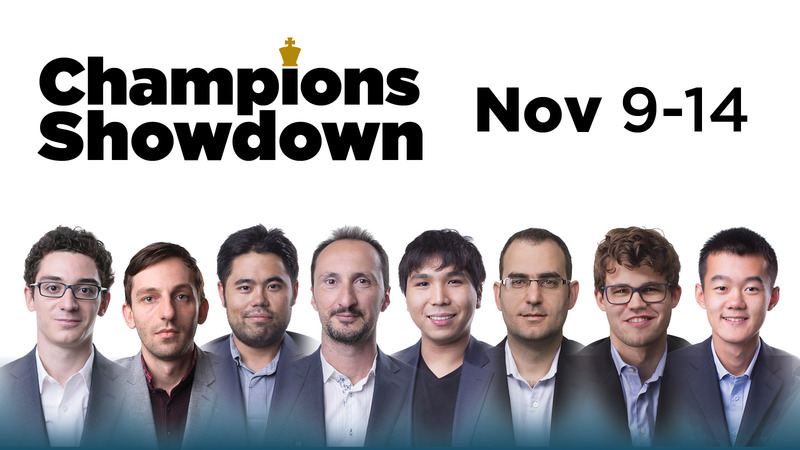 The sixth and final day of the Champions Showdown was a formality for the players, since Magnus Carlsen's crushing performance on days four and five already sealed the deal in his favor. Despite speculation that the World Champion would push hard for a 3000 blitz rating, arbiter Tony Rich informed us early on that none of day six's games count towards ratings. Official FIDE rules indicate that once a match winner has been determined, the remaining games of the match cannot count for rating. 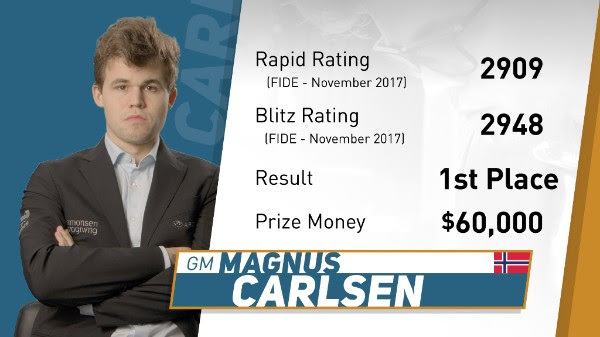 Since Carlsen clinched yesterday with a round to spare, neither that last round nor today were officially counted for FIDE ratings. With honor on the line, and as competitive as these players are, there was no lull in the action despite the lack of outside incentive. 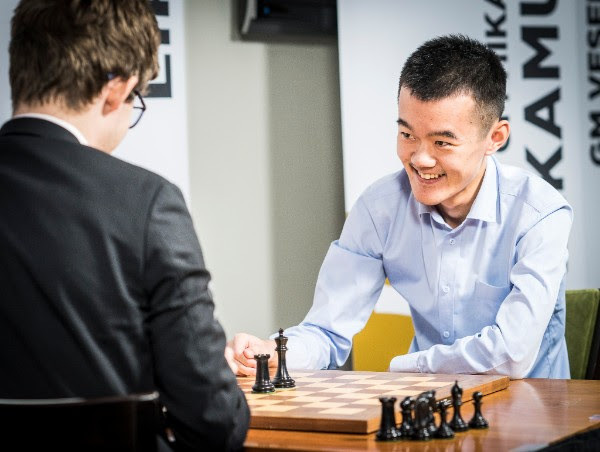 Indeed, the players' games today can be described as blazes of fury, one after another; though, unfortunately for Ding Liren, he was again in the receiving end of the great majority of these games. In another funny series of results, it seemed like the white pieces were simply unable to perform! Ding Liren had real chances in his first game with black, but Carlsen managed to get out of trouble, and immediately after struck a win with a nicely timed queen sacrifice for a tremendous outside a-pawn. Ding Liren seemed to be in gear as he spurred a repetition to convert a winning endgame. And, more or less like yesterday, after Ding Liren's one win, the fun stopped. 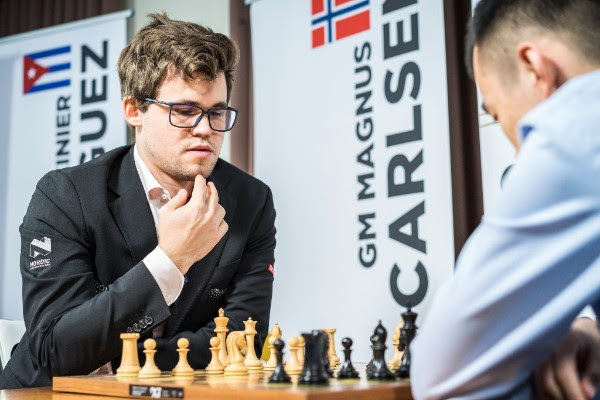 "I'm not 100% thrilled with the way things went today - he had so many chances!” remarked Carlsen, who also had an explanation of how he saved so many games today. "In blitz, a winning position is not enough. If there’s no clear way to win it, it doesn’t really matter that much!" This was the most one-sided match of the event, even surpassing Nakamura-Topalov by quite a big margin. 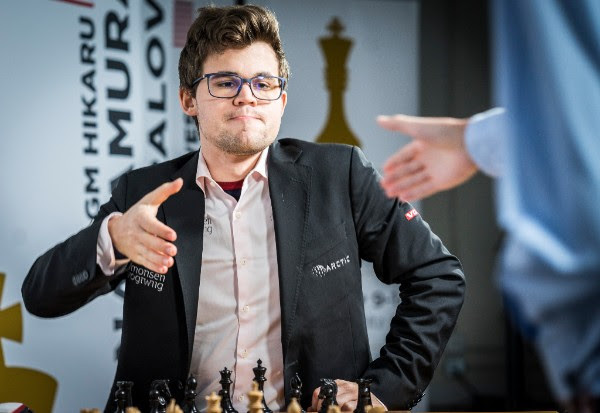 The players will gear up for their following commitments: Ding Liren immediately departed for the Grand Prix in Palma de Mallorca, while Magnus Carlsen will be headlining the final leg of the Grand Chess Tour in London.